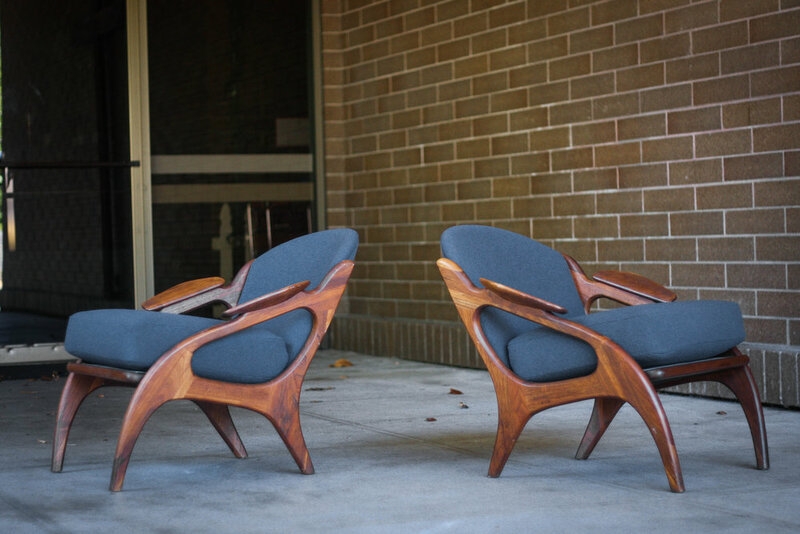 Here we have two, completely reupholstered, Adrian Pearsall 2249-C lounge chairs for Craft Associates. The solid walnut frame has the most gorgeous grain patterns of any Pearsall chairs we've had (and we've had a bunch). Only light signs of use to the frames commensurate with age and use. As they are solid walnut, if you wanted them looking brand new you could easily sand any blemishes. The chairs have been completely restored with all new strapping, high density foam and batting, and brand new, period appropriate, boucle fabric.